I've been trying to get hiragana down as the basics for learning Japanese, but I can't for the life of me remember what half the symbols are unless I sneak a peek at a cheat sheet. Do you have any way to easily remember the characters? I want to become fluent enough to where it would really be second nature to me, like I wouldn't have to think about what this character means I would just know. I've tried repetition, but I still struggle with remembering things. All I really remember is く meaning ku, but even then I second guess myself and can't help but think it means ka also. 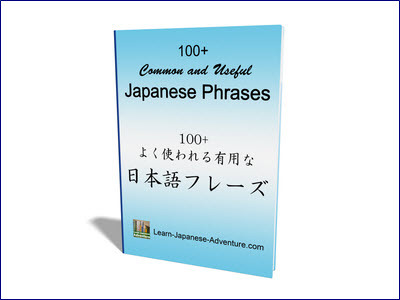 I searched the internet and found the following page which contain mnemonics for Japanese hiragana. 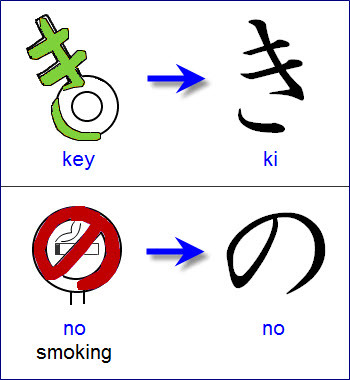 You might find them useful to help you remember hiragana more easily as most people tend to memorize faster when relating symbols to something more visual. Besides using the mnemonics, I suggest that you treat hiragana as the "Japanese alphabet", just like the English alphabet. Although there're 46 of them as compared to 26 for the English alphabet, they're not that difficult to memorize. Can you still remember how you learned your abc? Do the same for hiragana. I'm sure you can do it, no matter how much time it takes. Alternatively, you can try some free software to help you remember things easily. One of them is Anki. You can download the program for different platforms (Windows, Mac, Linux, iPhone, Android, etc). 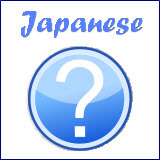 Kana Flashcards (Japanese and English Edition) and the Audio Companion for Kana Flashcards (Japanese Edition) to master hiragana with visual and verbal mnemonics. I didn't use any mnemonics to memorize hiragana when I started out learning Japanese. I think I was just passionate enough to learn the language and the characters just "glued" to my memory naturally. I did spend about a month to memorize them totally without referring back to the hiragana sheet (hard work, off course). I supposed everyone in my class did the same thing as me. My teacher didn't introduce any other method to help us remember hiragana faster. I think she expected us to just memorize them by hard. And we have a hiragana test on the following week - filling up the missing characters in the hiragana sheet. Sorry I cannot give you other advice on memorizing hiragana due to my limited experience. But I want to let you know the importance of hiragana. 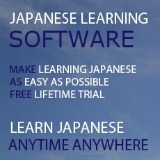 If you really want to learn Japanese, knowing hiragana is the most basic requirement. You cannot form any English word without knowing the alphabet. Likewise, you cannot form any Japanese word without knowing hiragana. If you cannot get pass this hurdle, you will have hard time memorizing katakana (although similar but is more difficult to memorize) and kanji (this is the monster for most students). Especially kanji, there're many more kanji (more than 1000) than hiragana (only 46), and there is no standard way of memorizing kanji. I don't mean to scare you. I just want to get you prepared mentally so that you are determined to learn the language. When you start learning kanji, you will look back and think that how easy hiragana is. Comments for Do you have any mnemonics for hiragana? Hi saeed, you are welcome. I am glad that you find it useful. The best way I have learned hiragana and katakana is a book by Timothy Stout. It is called "Japanese Hiragana and Katakana for Beginners" (ISBN 978-4-8053-1144-8). I got it on Amazon and in fact it is sitting right next to me. I take it to work so when I have a bit of downtime, I practice a few letters. It has all sorts of mnemonics to easily learn them. I know almost all of the hiragana by sight and have started on the katakana. No that book was one big disappointment.